Come join the Standley Feed family for the Texas Mushroom Festival, Saturday, October 13, 2018 in Madisonville, TX-the Mushroom Capital of Texas! This year’s Festival will kick off first with a Gala Dinner Friday, October 12th. 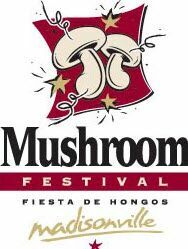 Mushroom festival opening ceremonies will be at the Madisonville Square Saturday morning. While the Festival will include Live Music, an Auto Showcase, and a 5k, the Biergarten-Cooking-Winery Row sponsored by Taste of Texas is sure to draw extra attention from hungry corwds. Arts and Crafts are also available. For more information on the festival, or to purchase tickets for the Gala dinner, visit the Festival site here. We can’t wait for this awesome event! This entry was posted on Friday, September 28th, 2018 at 6:16 am	and is filed under News & Updates. You can follow any responses to this entry through the RSS 2.0 feed. Both comments and pings are currently closed.